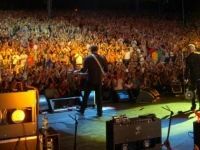 Enjoy the best music at one of these concert halls in PA. Find concert venues in Pennsylvania to hear all your favorite musical artists. Your Destination for Rock in Pennsylvania! Penn's Peak is a premier concert hall in Pennsylvania for the best rock and roll. The Peak boasts a huge space with killer acoustics, guaranteed to make your favorite acts sound the best they ever have live (be sure to check out their virtual tour online to see it for yourself). What goes better with music than great food? While you're there, check out the Roadies Restaurant and Bar; have a few drinks, have a juicy burger - they've got you covered. Who's played Penn's Peak? Foreigner, Blues Traveler, Hall and Oats, Blue Oyster Cult, the Gin Blossoms, The Knack, the Black Crowes, and more. Ever heard of those guys? Sure you have. They also host great local bands, as well as cover bands dedicated to your favorite music. Don't miss 'em! One of the Most Unique Concert Halls in PA! The Mann Center states that its mission is to provide, "diverse, world-class entertainment in a beautiful park setting at affordable prices," and it's certainly doing a good job. Since opening, the center has hosted dancers, singers, classical soloists, some of the best orchestras in the world, not to mention operatic productions and jazz performers; if you have a passion for the arts, the Mann Center is sure to have something on its schedule for you. The comfortable sloping lawn, dazzling acoustics, and truly wonderful atmosphere makes this venue the unique experience it is, and for the price, it's certainly worth a try. You won't find a concert hall quite like this anywhere else, so be sure to drop by, take in a show, and experience the Mann Center's mission in action! Among the Best Concert Halls in Pennsylvania! 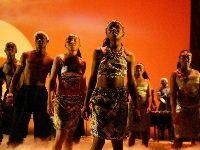 The Annenberg Center for the Performing Arts has been devoted to hosting the best established (and upcoming) acts and performances from around the world for the past forty years. From local Philadelphia artists to the global scene, from classical to urban, from jazz music to native Irish tunes, the Center's dedication to diversity continues to thrill the University of Pennsylvania community, as well as all those who recognize the Annenberg as a haven of cultural and artistic endeavor. Another benefit of the University setting: ticket prices are kept within reach of a student budget, so don't hesitate to check their schedule and see what calls to you; their beautiful theatre awaits. Everyone Worth Seeing Wants to Play The Electric Factory! The Electric Factory is one of the hottest spots in Philly, featuring all the music you love, and the music you don't love yet. The venue itself is spacious, with great acoustics - take it from us, you'll be able to see and hear everything no matter where you are on the floor- and plenty of room to dance. It has a great bar too, always fun for enjoying a show. Let's get right down to it: who plays? The National, The Airborne Toxic Event, Cage the Elephant, Beirut, Tegan and Sara, the list goes on. Nobody worth seeing comes to Philly without trying to book a show at the Electric Factory, and if you live anywhere near it, you probably already know. In case you don't, check out one of the coolest concert halls in Pennsylvania, and thank us later. A Landmark of Art and Culture in Philadelphia! 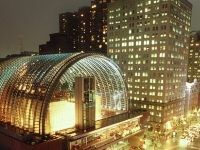 When the Philadelphia Orchestra's need for a new home met with the former-mayor Edward G. Rendell's plan to promote the cultural scene with a state-of-the-art venue, the Kimmel Center was born! The Center boasts a full schedule of a variety of different kinds of performances, from chamber music arrangements prepared by the Philadelphia Orchestra, to stagings of new plays by famous American playwrights, to full blown musical productions, to the best of romantic and classical music by the great composers. How can you beat a wonderful venue with some of the best music that the Greater Philadelphia Area has to offer? This is a great night waiting to happen - check their events page! A Beautiful Concert Hall Gracing Pennsylvania! Now in it's 25th year, The F.M. Kirby Center for the Performing Arts stands on the former site of the sumptuously decorated Paramount Theatre in Wilkes-Barr. Remaining true to its heritage of wondrous entertainment, the theater offers a diverse schedule packed with rock n' roll shows, Doo-Wop groups, classical concerts, Broadway-class plays, and more. You won't find a venue as beautiful as this one just anywhere in Pennsylvania; the conjunction of intriguing art deco design with modern productions creates an atmosphere and quality you'll have to see to believe. Why wait? 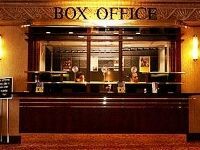 Visit their box office now, and find the show that's right for you playing at the F. M. Kirby center for the Performing Arts! Lehigh Valley's Greatest Historic Concert Hall! The Allentown Symphony Hall is one of the most historic and famous concert venues in Pennsylvania, home to the Allentown Symphony Orchestra, "the leading symphonic ensemble in Lehigh Valley." Now in its 60th season, the Hall boasts a wonderful variety of musical programming from all genres like classical, romantic, opera, jazz, and more! Special events include their international dance series, the jazz upstairs program (in a more intimate setting than their grand concert hall) and its screening of classic films. The Orchestra itself features world-class musicians, and an exciting calendar of the finest music ever written. The venue is beautiful, the performances consistently wonderful; you really couldn't ask for more than that. 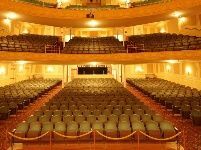 Visit the Allentown Symphony Hall and experience their dedication to Pennsylvania's culture yourself. Wonderful Productions from the Lehigh University Art Department! 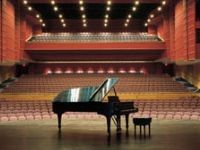 The Zoellner Arts Center on the Lehigh University Campus is among the best PA concert venues in the Lehigh Valley. The performance space itself is noted for its adaptability: one minute it's the site of a full blown musical production, the next filled with Shakespearean sets, after that it's a bare bones solo piano recital, and the next night it holds a full orchestra. The acoustics and sound systems enhance the performance by offering crystal clarity. The best part might just be the students; most productions are supplied by the wonderful art department at Lehigh University, with special guests now and again, and the university is home to some really mind-blowingly talented young men and women. Don't hesitate - support the students and support the arts, by visiting the Zoellner Arts Center. 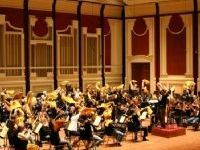 Home to the World-Renowned Pittsburgh Symphony Orchestra! When the Loews' and United Artists' Penn Theatre failed in the sixties, it was bought and renovated into Heinz Hall, the new home of the Pittsburgh Symphony Orchestra. The hall is as grand and beautiful as any music lover could want, with terrific acoustics, great lines of sight to the stage, and an elegant decor that helps any lucky audience member capture all the majesty of the music. The grandeur of the building notwithstanding, The Pittsburgh Symphony Orchestra itself is one of the best in the country, boasting world-class musicians, and some of the leading music directors and guest-conductors in its rich, and storied history. Check their website for more information, including upcoming events as well as ticket purchases. Don't miss this opportunity to experience one of the greatest concert halls PA has to offer! A Premier Concert Hall in Pennsylvania! The Strand-Capitol Performing Arts Center is the collaboration of two historic theatres: the Theatoreum, and the Strand, which, combined, brought the best of American culture to York in the early 20th century through both the silent movies (and later classic Hollywood cinema) and vaudeville. Now the Strand-Capitol is home to some of the best and most varied entertainment in the business; it's home to the York Symphony Orchestra, probably the best and most affordable place in central Pennsylvania for the screening of classic cinema, and hosts a variety of special guests like musicians, orchestras, bands, comedians, and children's performers. Every season is different: be sure to check their events schedule to find the show that's right for you! One of the Most Intimate Concert Venues in Philly! 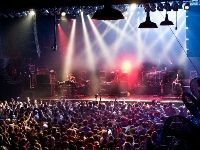 If you're looking to see one of your favorite bands perform, then see them at one of the best concert halls in Philadelphia - Union Transfer! Not only do they have a great venue atmosphere, but they have all the best bands perform there! 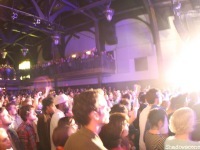 At Union Transfer, you pay for a "general admission" ticket which allows you to stand in the crowd, so you can get as close to the stage as you want! Go to their website to see a full list of all their upcoming performances, and you can even order tickets online! With three full bars available during the show, you and your friends will definitely have an unforgettable time at Union Transfer!